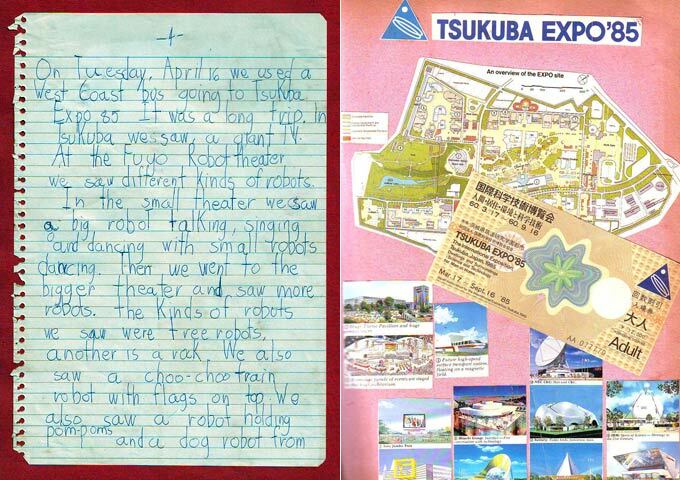 While looking through my old stuff, I found a travel journal which I made in 1985 about our family trip to Japan and Taiwan. 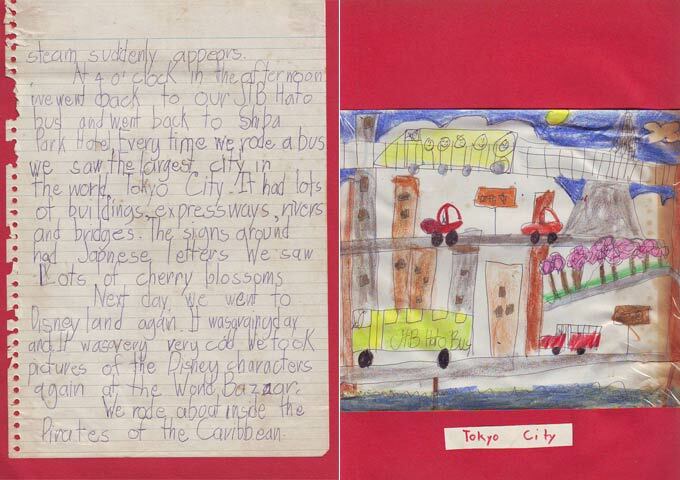 I was five at that time and after the trip, my mom encouraged me to write about the trip which was bound into a scrap book called My Trip to Japan and Taipei: April 15-24, 1985. 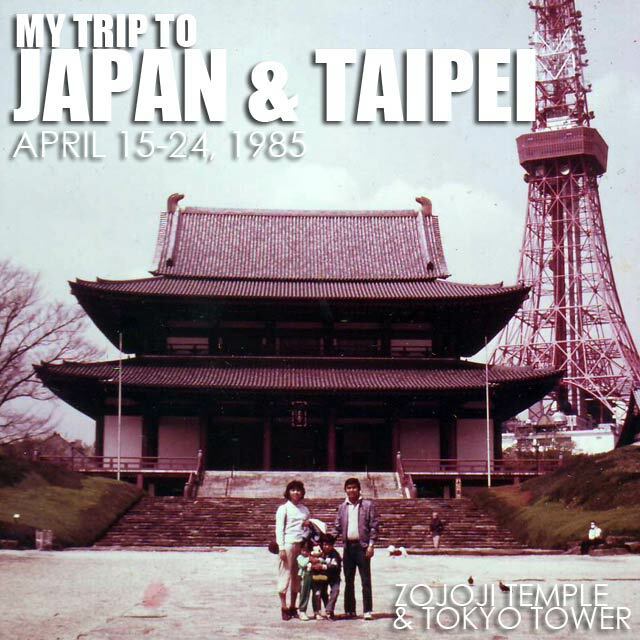 The photo above is my family at Zojoji Temple with Tokyo Tower in the background, a testament to the fact that despite their push for modernity and progress, Japan prides itself in its heritage and puts in a lot of effort for its preservation. Zojoji Temple, the chief temple of the Jodo Buddhist sect, was founded in 1393. Tokyo Tower on the other hand was built in 1958. Modeled after the Eiffel Tower, it is 1092 feet high and broadcasts most of Japan's TV and radio stations. I even made my own illustrations to accompany the hand-written text of the scrap book. It took me several months to complete it, October 1985 to be exact. 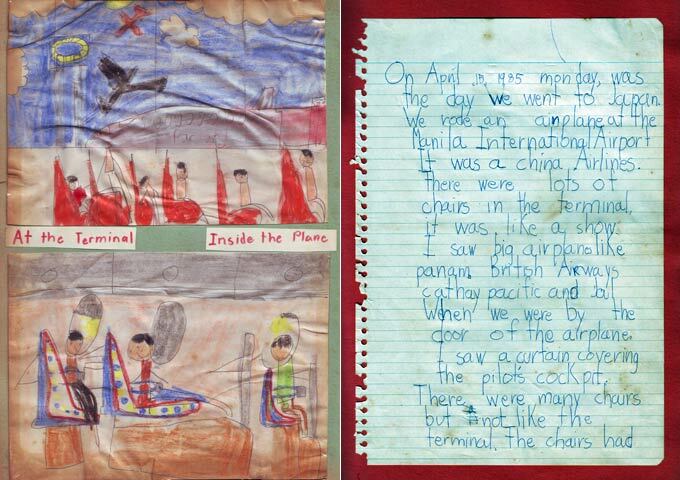 But it was my first attempt at travel writing. 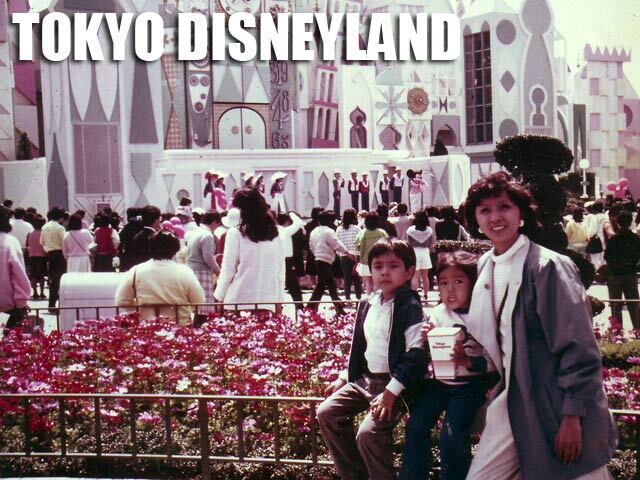 In Japan, we visited the 1985 International Exposition in Tsukuba, Tokyo Disneyland and the different districts of Tokyo such as Ginza and Akihabara. 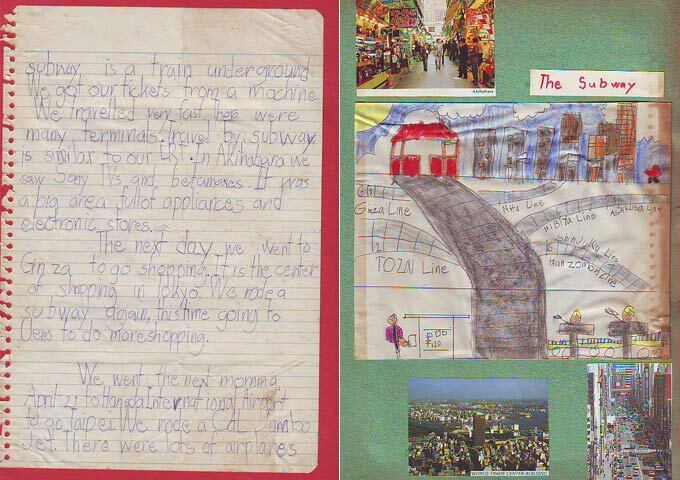 There's also a drawing I made of the subway system which really wowed me as a young kid. I'm sure even as adults, we're still impressed with the very efficient public transportation system of Japan today. After Japan, we spent an additional four days in Taipei before returning back to the Philippines. 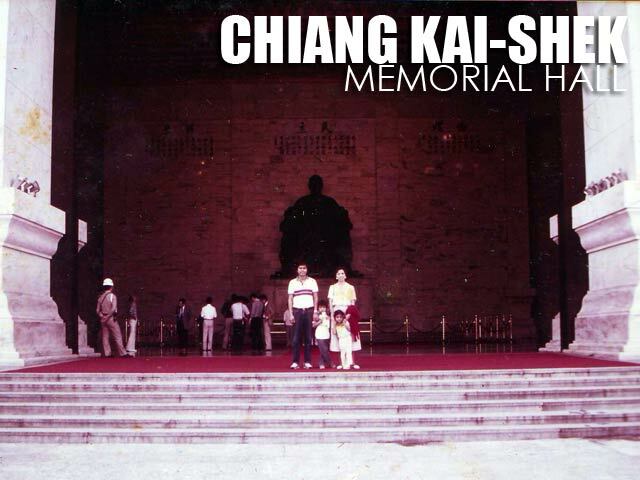 We got to visit the Taipei Zoo and the Chiang Kai-shek Memorial Hall among other attractions in Taipei. 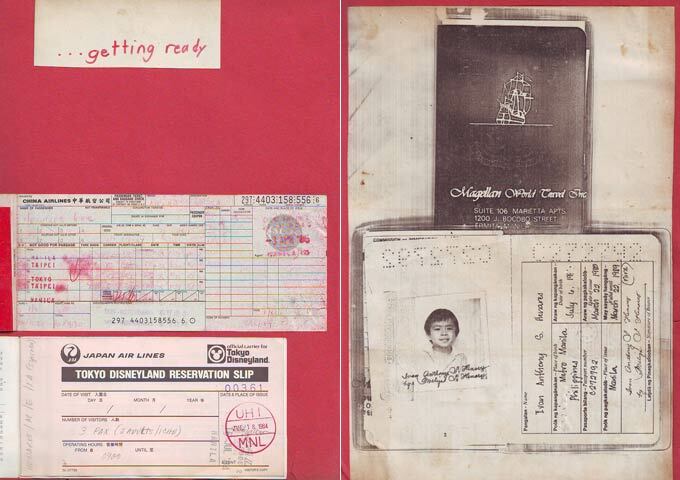 Twenty-five years ago, who would have thought I'd be traveling and writing like this now? 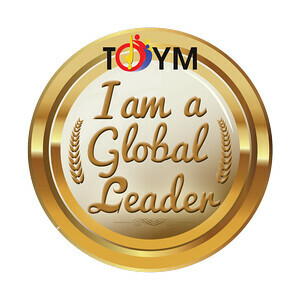 It's fun to look back at where it all started, and why I continuously yearn to visit other places and experience different cultures even more. Ivan About Town just turned five! I didn't realize it either that my blog turned five this month too! 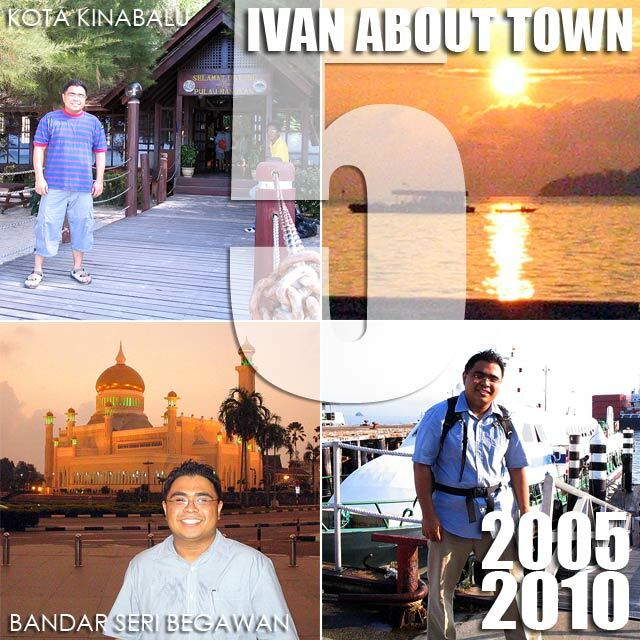 I wrote my first blog entry on April 19, 2005 in Kota Kinabalu, Malaysia. As the first line of my first entry went, "What a way to start my blog, writing about my journeys in some really exotic place!" It was my first backpack trip. And I thought, instead of having to repeat my stories to my friends when I got back, I'd just update them through a blog. So that's how Ivan About Town was born. 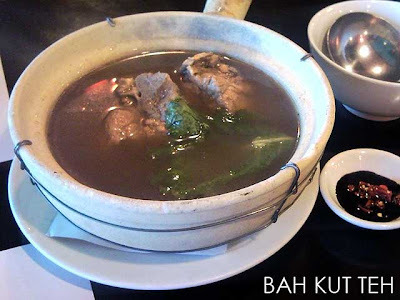 Hope to visit Kota Kinabalu again this year! Last month, I got the chance to visit Anvaya Cove in Morong, Bataan. While the group left early in the morning, I had to finish some meetings in the office. So I said I would follow. 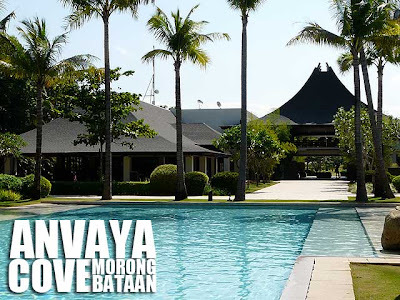 I missed the tour of the Anvaya Beach and Nature Club and the Nature Camp. But I arrived just in time for the spa treatments at Veda Spa! The spa facilities are one of the best I've seen in the country. Plus the massage treatment was really refreshing. Too bad we only stayed for a night. Dinner, plus breakfast and lunch the next day was at Bamboo Cafe. I particularly enjoyed the Asian inspired buffet lunch which featured dishes from Japan, Korea and other Asian countries. While Anvaya Cove is mostly a residential area, there are rooms, lagoon terraces and suites which you could book at. But you'll need to know a member to be able to make a reservation. We got to explore the development the next day, particularly the residential areas which I found really classy. Before leaving, we were given the chance to walk around the beach and the pool area. I wasn't able to stay for long since I had to catch a graduation in Tarlac where I was commencement speaker. 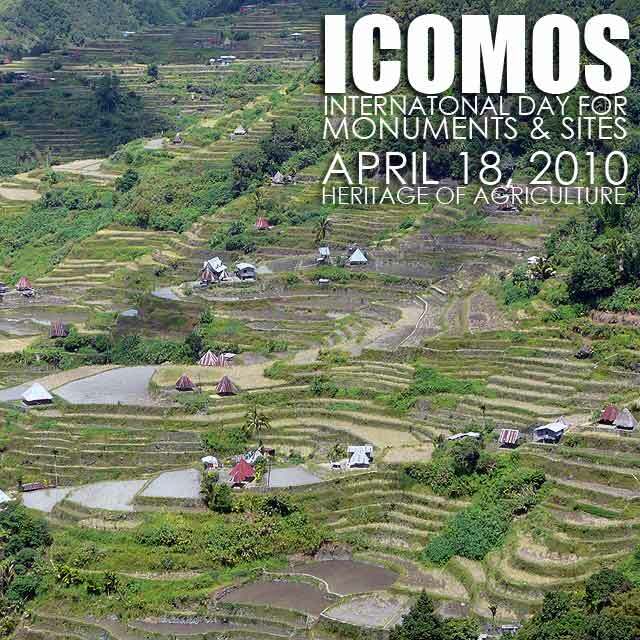 Every year, ICOMOS assigns a theme to the celebration. 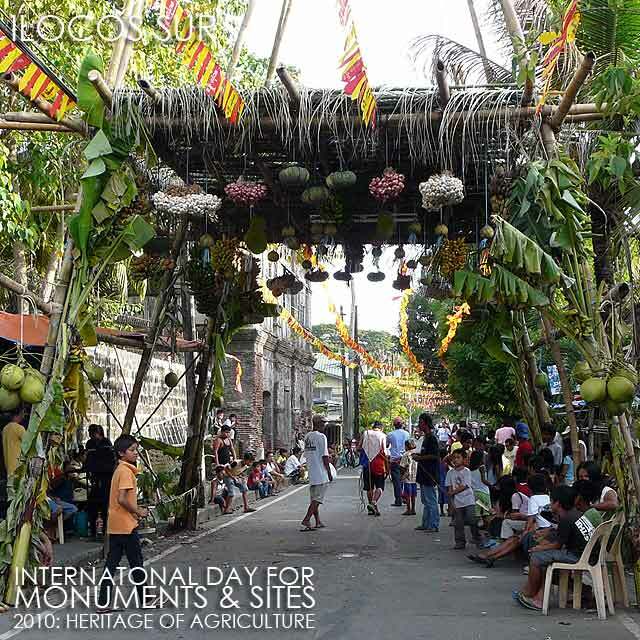 And this year's theme is: The Heritage of Agriculture. With many agrarian communities around the country, almost every province in the Philippines has agricultural heritage. The cultural landscape of Batanes includes hedgerows which form quilt-like patterns across the farming hillsides of Batan Island. According to the Batanes Provincial Government, "They divide farm lots, protect crops from the wind, control erosion, host migrant birds and other species, and provide wood and reeds for domestic use." 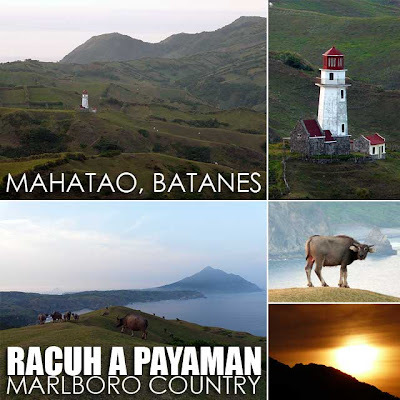 Another example of agricultural heritage in Batanes is the Racuh a Payaman, which literally means wide pasture. 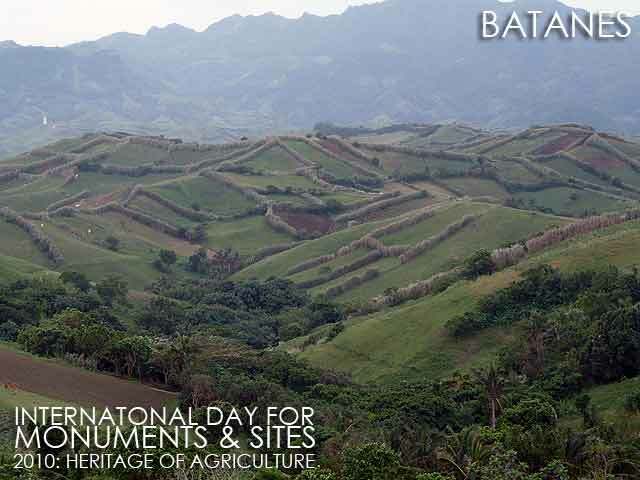 This communal pasture collectively managed by the townsfolk, says the Batanes Provincial Government, depicts a people that values community ownership over private property. It adds that the beauty of Racuh is as awe-inspiring as the concept that it represents: that collective management is best where land space is limited. 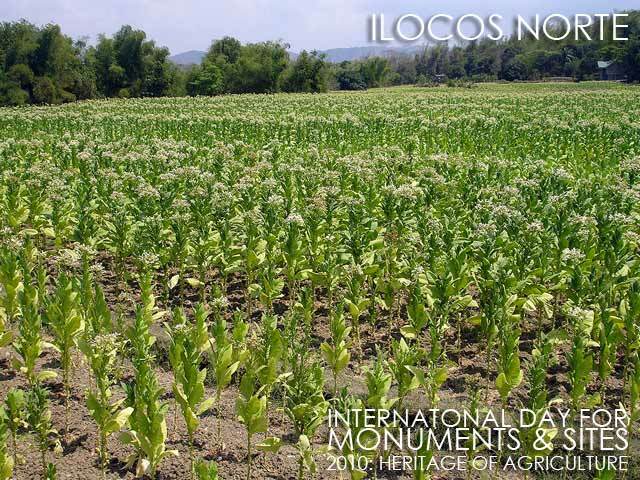 Ilocos Norte has its tobacco heritage. The 19th century Tabacalera warehouse in Laoag has been adaptively-reused as the Museo Ilocos Norte. 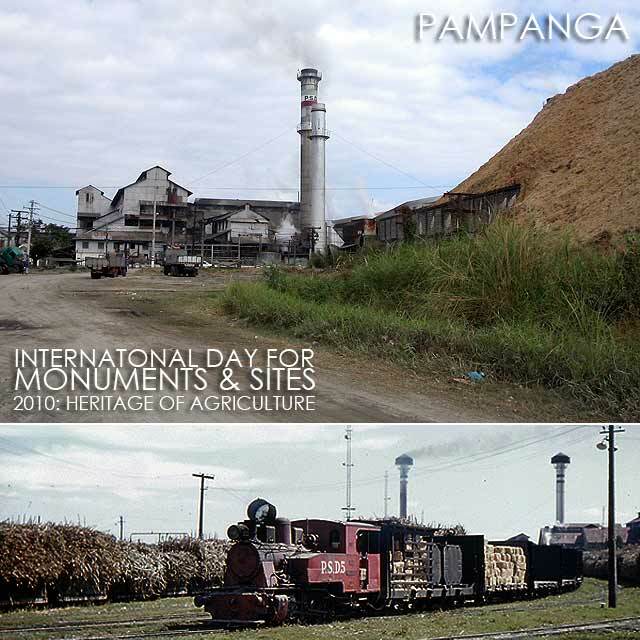 Pampanga, Tarlac and Negros Occidental share the same sugar heritage. In San Fernando, Pampanga, the 1921 sugar central of the Pampanga Sugar Development Company (PASUDECO) still produces sugar. This structure is an inherent part of the industrial heritage of Pampanga. 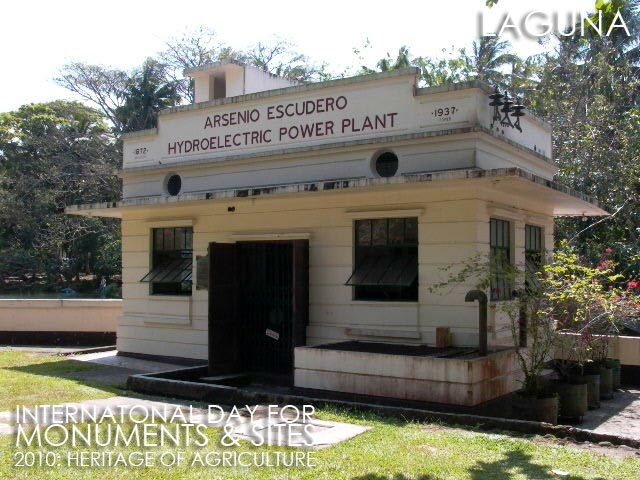 In Victorias, Negros Occidental, many visit the Victorias Milling Company (VIMICO) to see its Chapel of the Angry Christ. 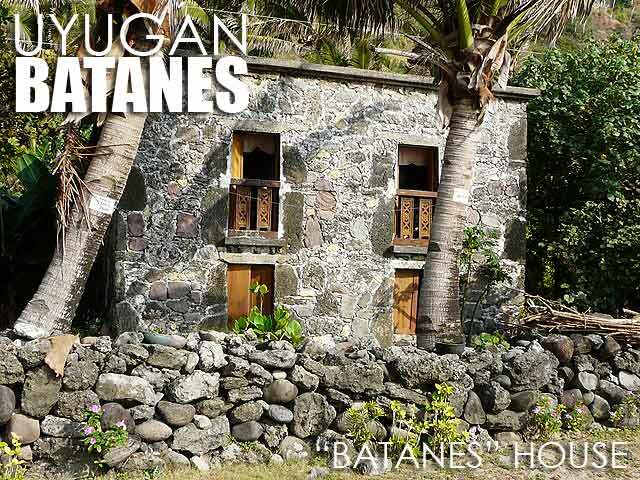 Most if not all the grand mansions of Negros were built by sugar. Many bahay na bato in rice producing areas had a camalig or rice granary beside it. 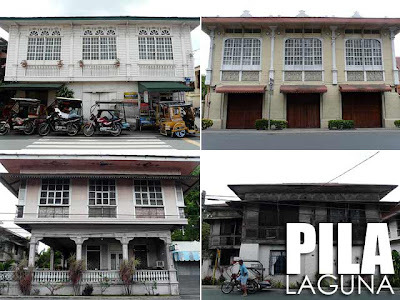 In Angeles City, the camalig of the Nepomuceno House was adaptively-reused as a restaurant, the popular Historic Camalig Restaurant of Armando's Pizza. In Laguna, the University of the Philippines established its College of Agriculture in 1909 on a 73-hectare abandoned farmland at the foot of the Mt. Makiling. By 1917, the campus had grown to 127 hectares with seven buildings, 500 students and an alumni association with 100 graduates. Many of those original structures still stand in UP Los Banos. It is said that the grand mansions in the heritage towns of Sariaya, Quezon and San Juan, Batangas were built from the proceeds of the coconut trade. ICOMOS also notes the intangible dimension of agricultural heritage, which Celia Martinez Yanez divides into rituals and festive events, on one hand, and skills, knowledge and traditional craftsmanship concerning nature and the universe, on the other. 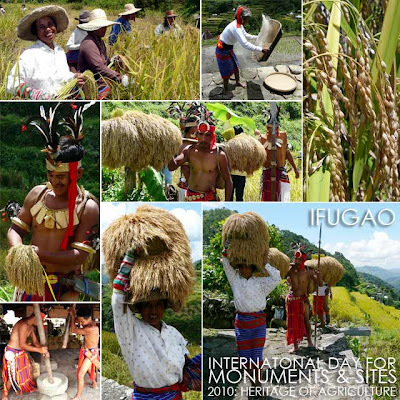 The UNESCO Representative List of the Intangible Cultural Heritage of Humanity contains properties related to agricultural heritage such as the Hudhud Chants of the Ifugao (inscribed in 2008, originally proclaimed in 2001) which consists of narrative chants performed "during the rice sowing season, at harvest time and at funeral wakes and rituals." There are many harvest-related festivals all over the country. On the feast day of San Isidro Labrador, the patron saint of farmers, are held the Pahiyas (Lucban), Agawan (Sariaya) and Mayohan (Tayabas) all in Quezon; and the Pulilan Carabao Festival in Bulacan. Every May 3, the UNESCO World Heritage City of Vigan, Ilocos Sur celebrates the Tres de Mayo Festival. 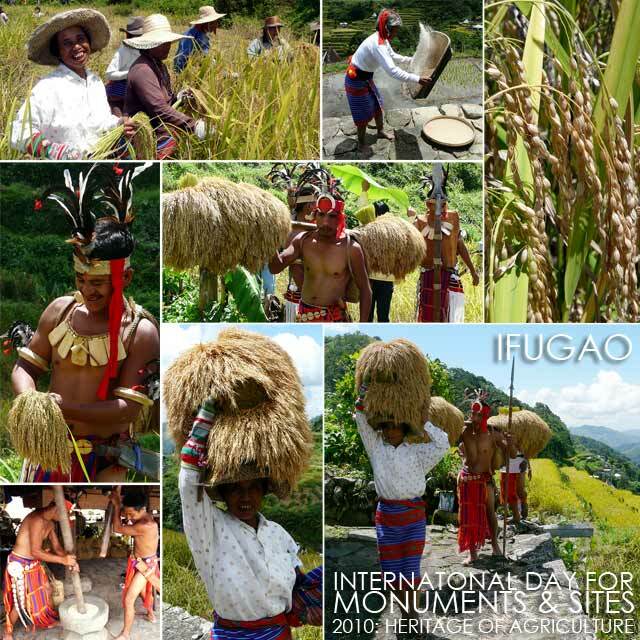 A physical reminder of knowledge of nature and the universe are the Stone Agricultural Calendars of Dap-ay Guiday in Besao (Bontoc, Mountain Province), which are National Cultural Treasures. What is the agricultural heritage of your province? Share them by commenting below. 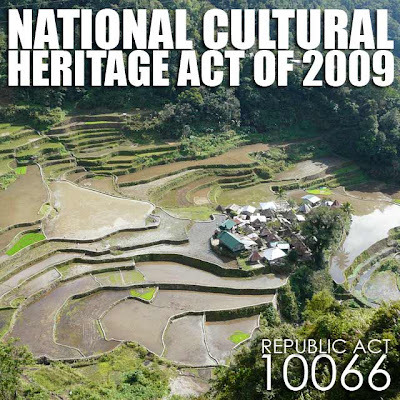 After several years attending Senate and Congressional hearings and technical working groups, the Heritage Bill is now the National Cultural Heritage Act of 2009. I remember attending hearings at the Senate used to be part of my regular schedule! 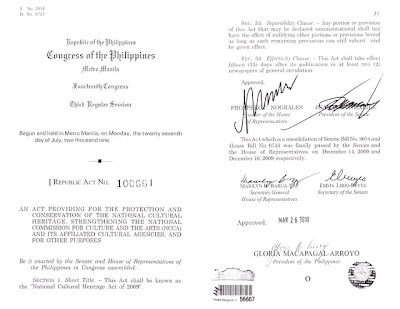 The new law was signed by President Gloria Macapagal-Arroyo on March 26, 2010. I would like to congratulate everyone who took part in the legislation of this new law. I would like to make special mention of Sen. Edgardo J. Angara, the principal author of this law, for tirelessly working for its approval and enactment. Sec. 12. Designation of Heritage Zones. 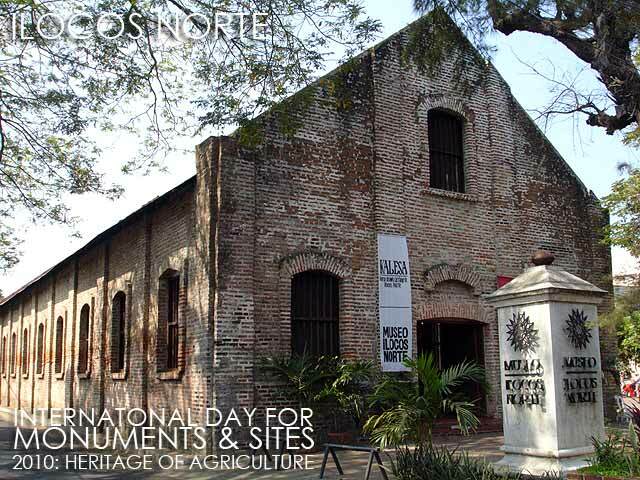 - The National Historical Institute and the National Museum, in consultation with the Commission and the Housing and Land Use Regulatory Board or other concerned agencies, shall designate heritage zones to protect the historical and cultural integrity of a geographical area. (c) Local government units shall document and sustain all sociocultural practices such as, but not limited to, traditional celebrations, historical battles, recreation of customs, and the reenactment of battles and other local customs that are unique to the locality. Sec. 22. Renaming of Historical Streets, Buildings Designated as Cultural Treasure or Important Cultural Property. 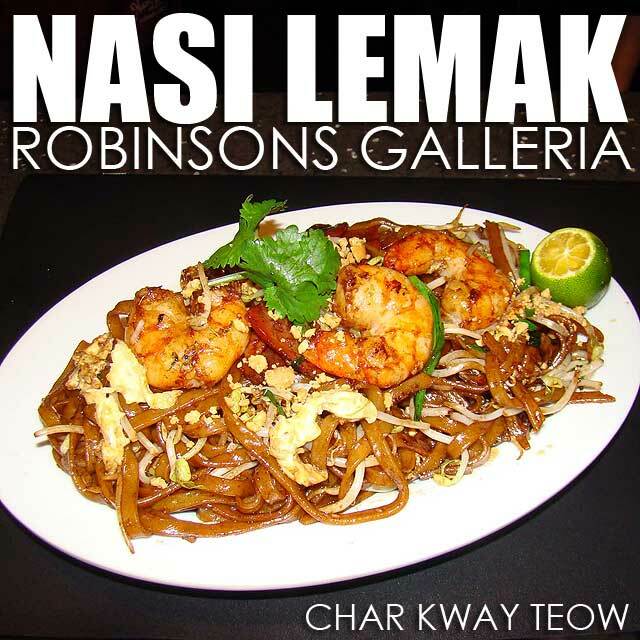 - The names of historical streets, parks, buildings, shrines, landmarks, monuments and sites designated as national cultural treasures or important cultural property shall not be allowed to be renamed by local or national legislation, unless approved by the National Historical Institute, and only after due hearing on the matter. Furthermore, for changes of names done to historical streets, parks, buildings, shrines, landmarks, monuments, and sites prior to the effectivity of this Act, the National Historical Institute may direct the local government units to restore their original names, also after due hearing. Sec. 35. Tax Exemptions on Donations. - All donations in any form to the Commission and its affiliated cultural agencies shall be exmpt from donor's tax and the same shall be considered as allowable deduction from the gross income in the computation of the income tax of the donor, in accordance with the provisions of the National Internal Revenue Code of 1997, as amended. Sec. 38. Incorporation of National Cultural Treasures and Important Cultural Property in the Basic Education System. 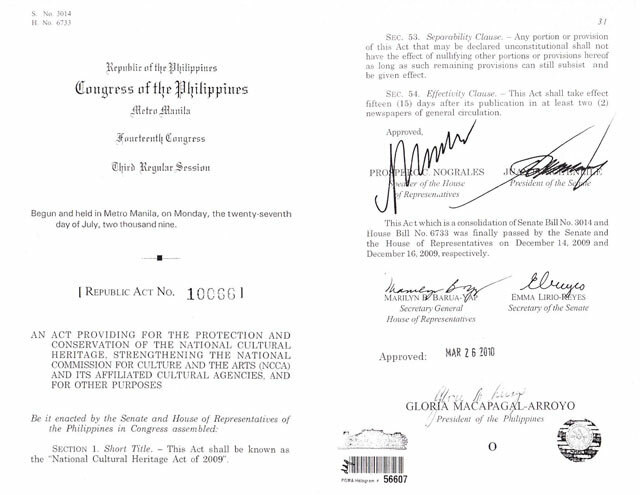 - Within one (1) year from the effectivity of this Act, the Department of Education, in coordination with the Commission's Philippine Cultural Education Program, shall formulate the cultural heritage education programs both for local and overseas Filipinos to be incorporated into the formal, alternative and informal education, with emphasis on the protection, conservation and preservation of cultural heritage property. 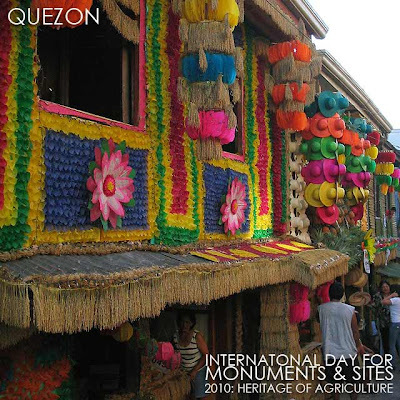 The Philippine Registry of Cultural Heritage Property shall likewise be incorporated into the formal, alternative and informal education by the provincial and local governments. Sec. 42. Creation of Sentro Rizal. - There is hereby created and established a Sentro Rizal whose main purpose is the promotion of Philippine arts, culture and language throughout the world. Sec. 43. Overseas Branches or Offices of Sentro Rizal. - Sentro Rizal shall have branches or offices in countries where there are children of overseas Filipino workers who need to be educated about their roots, as well as developed countries where there are large Filipino communities. Sec. 45. Services Offered. 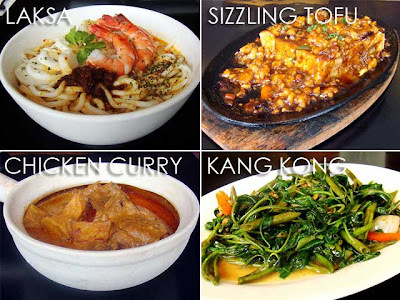 - The Sentro Rizal shall offer Filipino language courses for children and adults, as well as exhibits, small concerts, poetry reading, Philippine cuisine lessons in all Sentro Rizal branches. Here is the full text of R.A. 10066 - National Cultural Heritage Act of 2009. 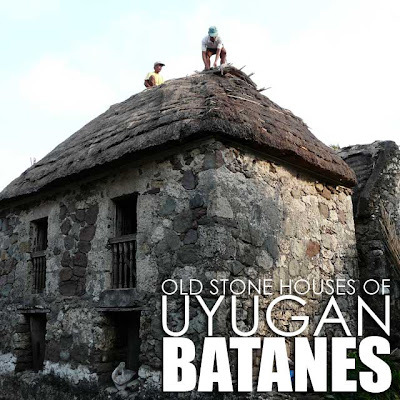 Uyugan is said to be the town with the most number of intact stone houses in Batan Island, particularly in Itbud and Centro (Kayvaluganan and Kayuganan). Most tours just drive through Uyugan and Itbud. It's actually the first time I got to walk around the town proper and Itbud. The quaint Uyugan Church is relatively intact, but it's quite small compared to the churches of the neighboring towns. 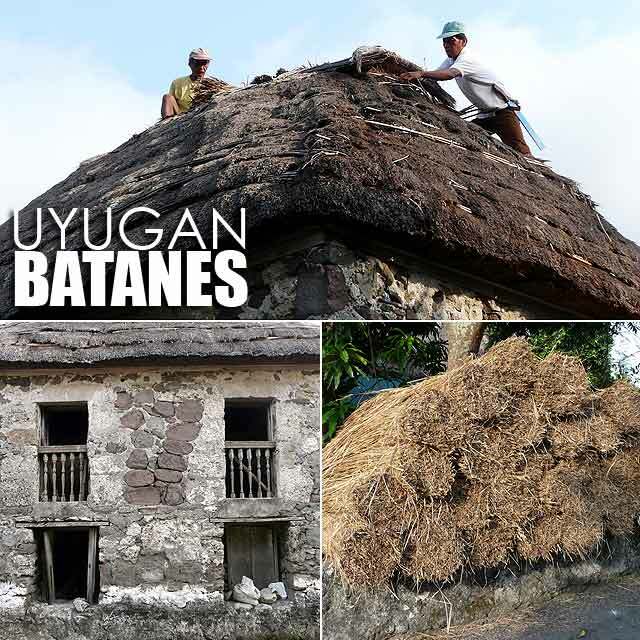 They were changing the cogon on the roof of one of the stone houses while we were there. There are two roof types in Batanes stone houses. The maytuab type of cogon roof has four sides. While the sinadumparan style has only two sides. 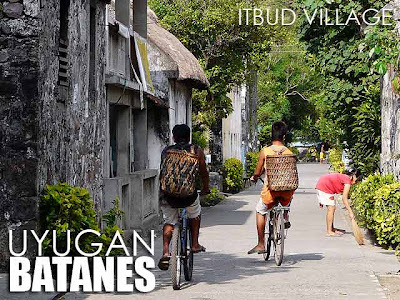 We moved on to Itbud which is another barangay of Uyugan. On the way to Itbud, we passed by the ruins of Songsong, a barangay that was devastated by a tsunami in the 1953. Although most of the village is in ruins, many of the residents are starting to come back. 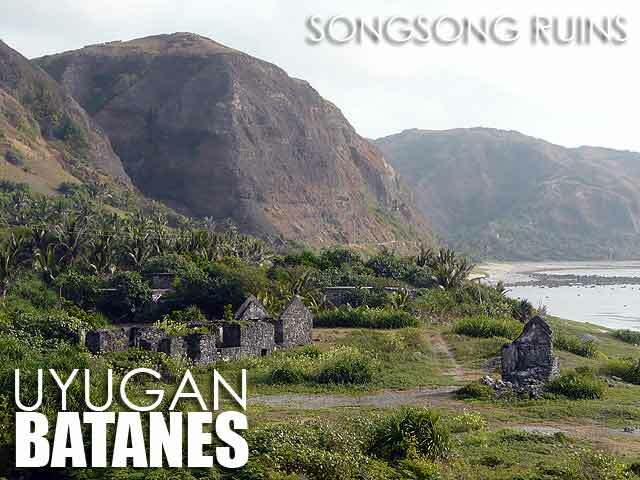 The house where they shot the movie Batanes is actually in Songsong. 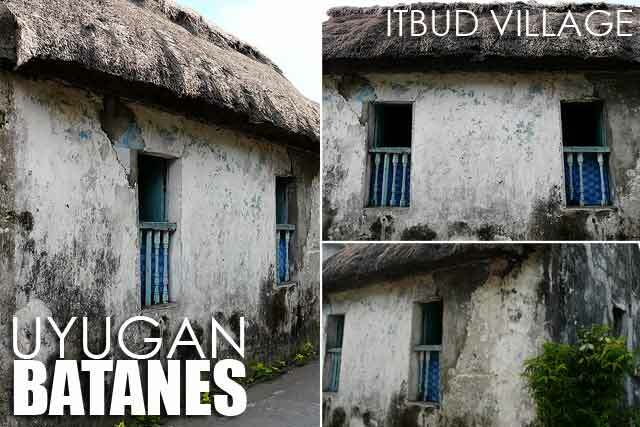 Itbud is the most intact barangay in Batan Island. 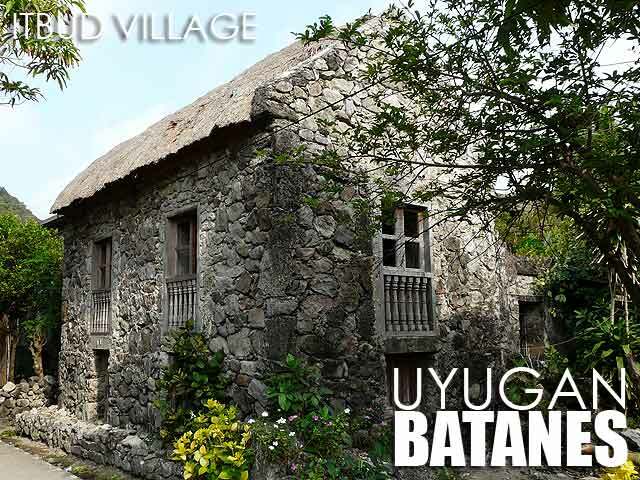 Except for the church which the priest demolished just a few years back to build a bigger church (they replaced it with a horrible hollow-block structure), the barangay still has a lot of old stone houses. Unfortunately, the houses will not be picture perfect until the May elections are over since there are campaign posters everywhere. But we did enjoy strolling around the village. At least some of the houses didn't have posters or tarpaulins. Our last stop was Imnajbu, the last barangay of Uyugan. Beside the barangay chapel is a wooden cross which marks the site of the first Catholic Mass in Batanes. There are also some noteworthy stone houses. Which is why no doubt, Uyugan is the last bastion of Batanes architecture on Batan Island. 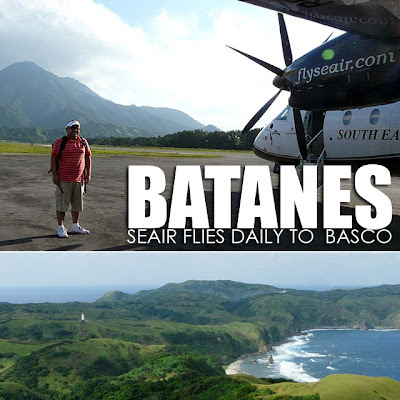 We did our usual afternoon trip around the southern part of Batan Island yesterday. 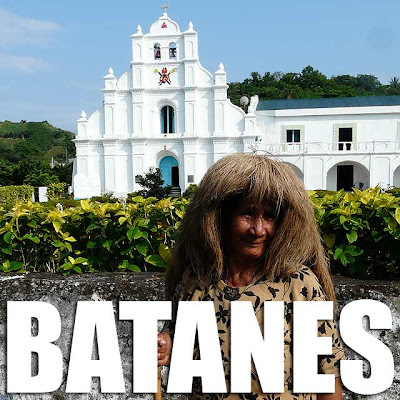 That includes the towns of Mahatao, Ivana and Uyugan. One of my favorite heritage stops along the way is the Mahatao Church (dedicated to San Carlos Borromeo), which is a National Cultural Treasure. I was pleasantly surprised to see an old lady wearing a vacul close to the church. For the longest time, seeing someone actually wear a vacul has eluded me in all my visits to Batanes until now. She was very gracious to the group for allowing everyone to take her photo and have their photo taken with her. Our next stop was Ivana. Another popular stop is the House of Dakay (built in the maytuab style). 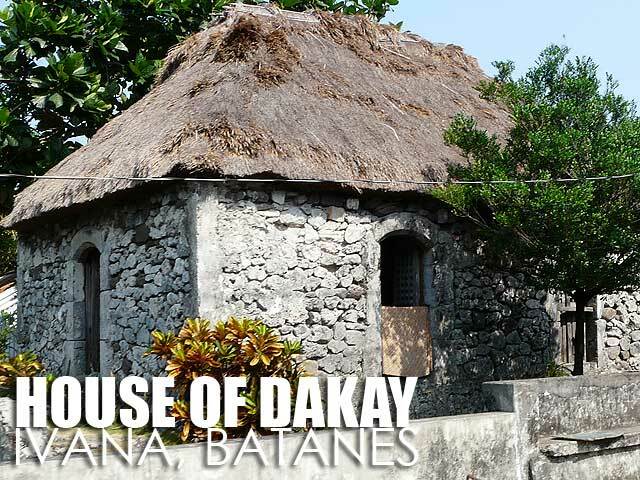 Said to be the oldest stone house that is still in use in Batanes, it dates back to 1860. Its lone occupant, Florestida Estrella, is now 83. Other stops in Ivana include Honesty Cafe and the Ivana Church. 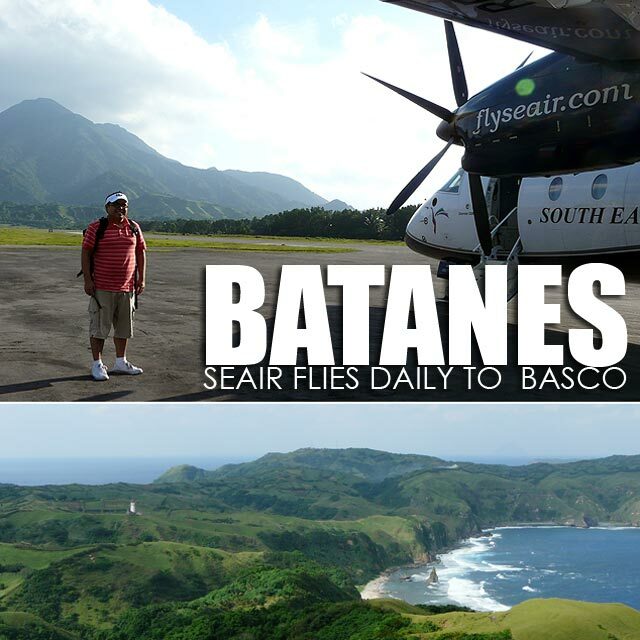 We were told that Ivana, Batanes is the smallest municipality in the entire country, both in population (1,181 in 2007) and land area (16.54 square kilometers). So unless anyone disputes that, I'll accept it as fact. We then drove by Uyugan before proceeding back to Mahatao via the Racuh a Payaman (also known as Marloboro Country) where the group enjoyed the sunset. Racuh a Payaman means wide pasture. According to the Batanes Provincial Government, this communal pasture collectively managed by the townsfolk depicts a people that values community ownership over private property. It adds that the beauty of Racuh is as awe-inspiring as the concept that it represents: that collective management is best where land space is limited. The skies were overcast when we arrived in the morning. But the sun thankfully came out later in the afternoon. But despite the sun, the weather was pleasantly cool. Indeed, it was a welcome relief from Manila's scorching hot weather! Quezon: Book now for the Ultimate Pahiyas and Quezon Culinary & Heritage tour! Have you been to Quezon and its San Isidro Labrador festivals every May 15? It's fiesta time this month of May and what better way to drink, eat and be merry as we head south to explore charming Quezon province. It's the best time of the year as we join in the revelry and celebrate the feast of San Isidro de Labrador! 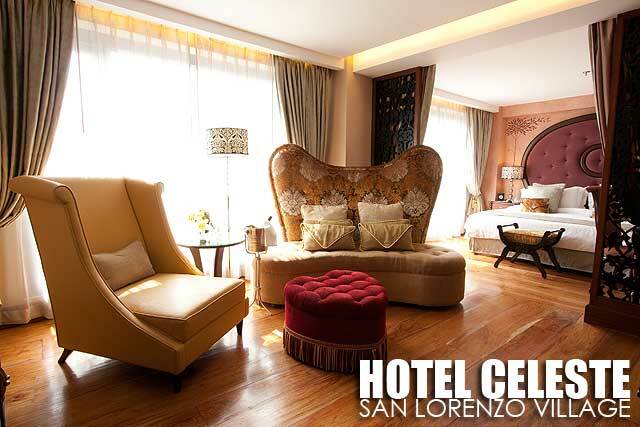 First off to Sariaya, a charming little town known for its gracious colonial-period homes. 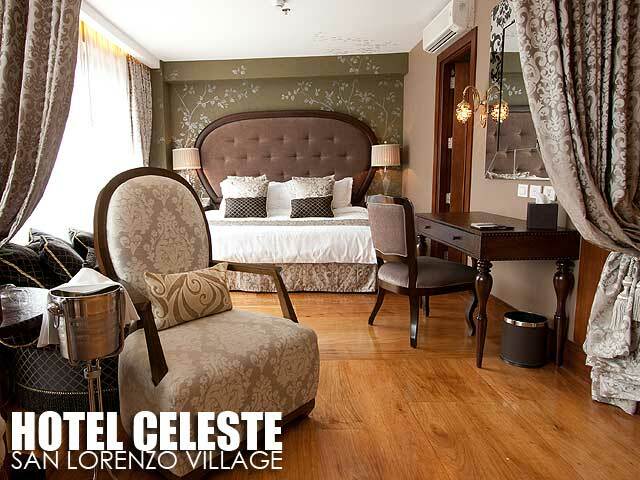 We'll have breakfast, take a stroll and admire these treasures as we revel in its traditional Agawan Festival. 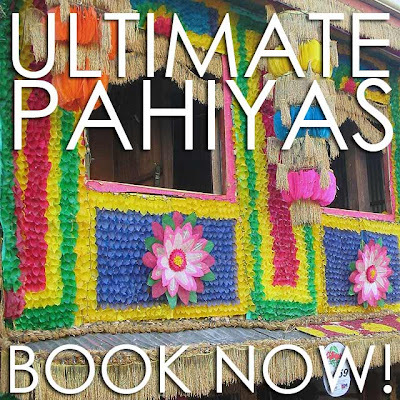 Then, it's off to Lucban and the Pahiyas Festival where we'll feast our eyes over a smorgasbord of food, music, artistry and local color in one of country's most spectacular fiestas! 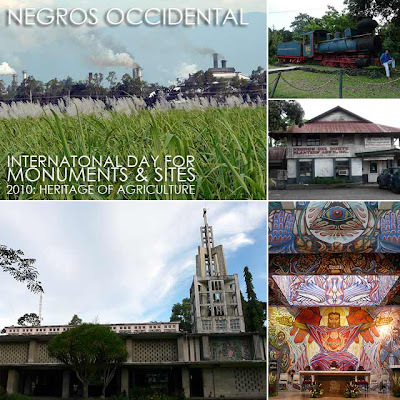 You will discover the best way to experience the San Isidro Labrador festivals: Pahiyas in Lucban and Agawan in Sariaya, the charming heritage town of Sariaya as well as a lovely dinner at the artsy Sulyap Gallery Cafe and anything and everything about Quezon's Tagalog heritage with the best guide in town, Tina Decal! 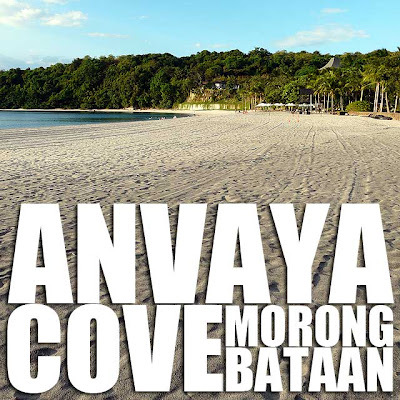 Tour Fee is Php4,800 per person inclusive of breakfast, lunch and dinner, all entrance fees and demonstrations, tourist bus transportation, the best personal guide in Quezon (Tina Decal), plus surprises along the way. For bookings, e-mail reservations@ultimatephilippines.com or contact my tokayo, Ivan ManDy (0917) 3291622. 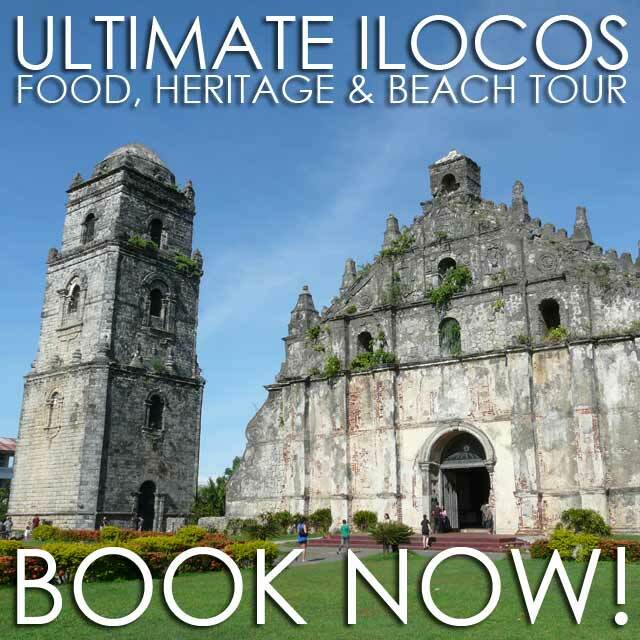 Ilocos Norte & Ilocos Sur: Book now for the Ultimate Ilocos Culinary, Heritage & Beach Tour! It's about time you experience the ABCs of the Ilocandia: antiques, bagnet and churches! 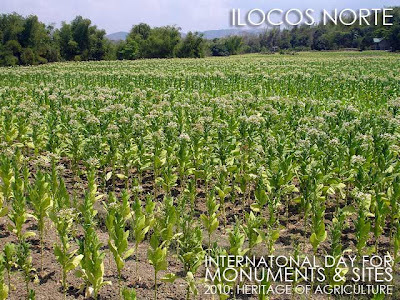 In Ilocos, nature and history is intertwined. But at Ultimate Philippines, we think this is combo best savored with bagnet and beer so we're exploring this provincial belle... our style! 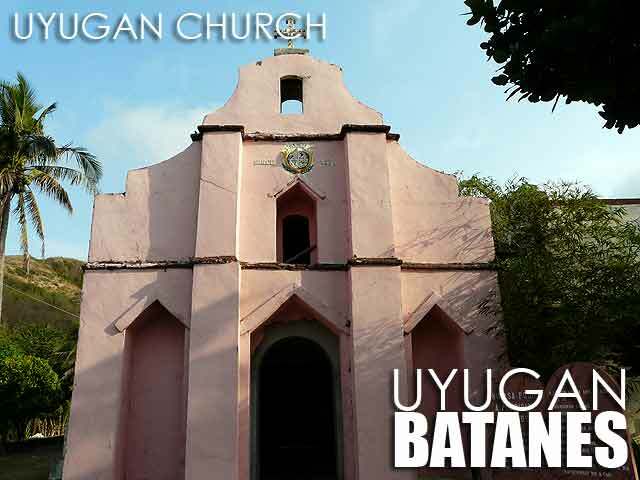 Let's journey up to the north and take a time-warp through the colonial city of Vigan. We'll walk through cobbles, munching our way through the town's traditional street fare and home-cooked feasts, from yummy empanadas to tasty longganisas. More historical bites and pinakbet pizza as we take a peek at the life of ex-strongman Ferdinand Marcos in the town of Batac and admire two masterpieces of Ilocos' unique Earthquake Baroque architecture: Paoay and Santa Maria Church. Capping off, we'll surf through the waves of Mairaira Beach in Pagudpud ending our journey in time to join the revelries of the annual Tres de Mayo fiesta in Vigan. Tour Route will include the Sabangan Cove Weaving Village, Santa Maria Church and Paoay Church (UNESCO World Heritage Sites), Herencia Cafe, Marcos Mausoleum, Glory's Empanada, Cape Bojeador Lighthouse, Bangui Windmills, Blue Lagoon (Pagudpud), Saramsam Cafe, and Vigan (UNESCO World Heritage Site) and its Tres de Mayo Fiesta where we'll have feasts at an old house and garden restaurant and savor its street food in style! Tour fee is Php15,000 per person inclusive of van transportation, overnight accommodation at the best resort in Pagudpud (Kapuluan Vista Resort) and at a very-private hotel at the heart of the heritage town of Vigan (My Vigan Home) and full board and all meals. We're only accepting a maximum of 20 people for this May 1 to May 3, 2010 tour. So book now! 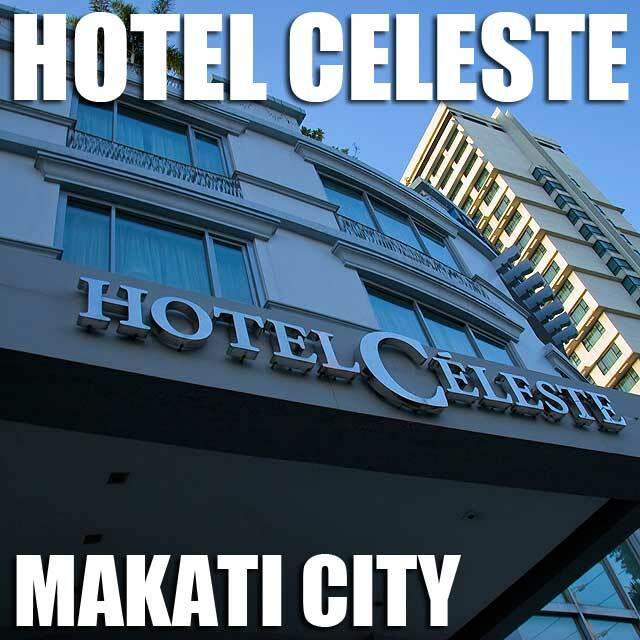 For bookings e-mail reservations@ultimatephilippines.com or contact my tokayo, Ivan ManDy at (0917) 3291622. For posts about last year's tour, check out: Ilocos road trip, Mairaira Cove (Blue Lagoon), Ilocos culinary adventure and Tres de Mayo Festival. 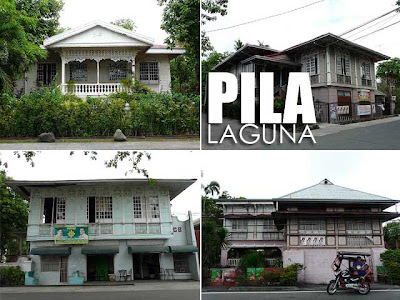 Pila is the heritage town of Laguna. The historic center of the town was declared a National Historical Landmark by the National Historical Institute in 2000. It was known as La Noble Villa de Pila, one of the few towns in the country which was elevated to villa during the Spanish colonial period. The center of town is an elegant collection of colorful colonial period structures located around a spacious plaza. The layout out of the town is very typical of most Spanish colonial towns. On one side of the plaza is the Pila Church dedicated to San Antonio de Padua. 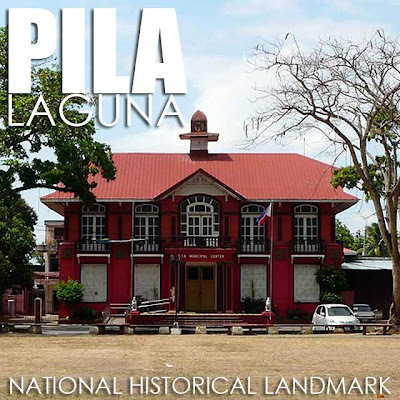 On the opposite end of the plaza is the charming Pila Municipal Hall dating back to the American colonial period and painted in brick red. And on the west and east sides are the elegant homes of the town's principalia. Pila's house colors come in shades of brown, pastels and white. This was how houses were painted during the Spanish and American colonial periods. It was not all white. 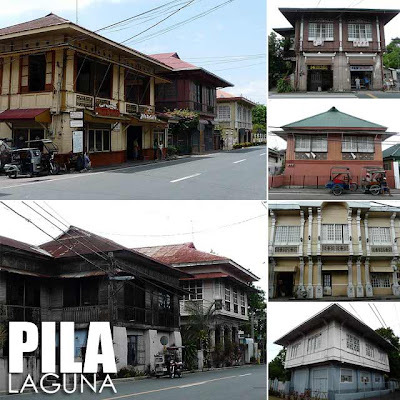 The town has a very active heritage conservation group, the Pila Historical Society Foundation, Inc. which has continuously led efforts to preserve the heritage of this genteel town. Here's a map of historic structures in Pila, Laguna if you want a guide while you do a walking tour. 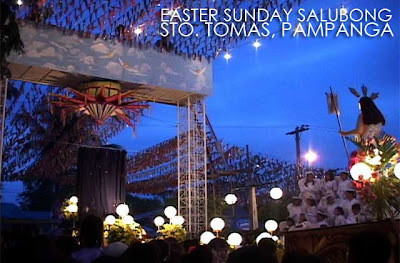 On Easter Sunday, the neighboring towns of Santo Tomas and Minalin are the center of activities in Pampanga. Aside from being Easter Sunday, it's also the town fiesta of Santo Tomas. 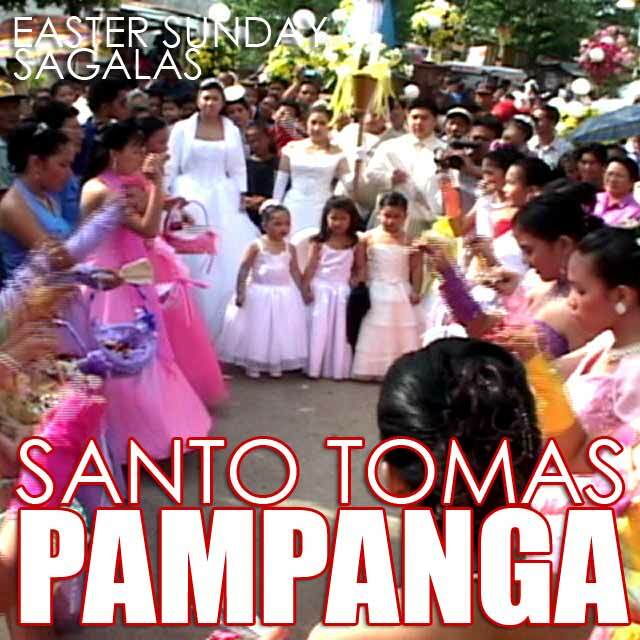 The town celebrates its fiesta on Easter Sunday rather than on the July 3 feast day of St. Thomas the Apostle. The night before, a rigodon de honor used to be performed at the Sabado de Gloria Ball called the Thomasian. I remember dancing the rigodon in the 2002 Sabado de Gloria Ball. Sadly, they stopped doing it about two years ago because no one was willing to be hermano and hermana mayor due to the costs that accompany it. While it was still being held, Thomasian was the longest continuously organized rigodon de honor in Pampanga. The oldest surviving rigodon tradition in Pampanga, the El Circulo Fernandino, was not held from 1987 to 1996. According to Robby Tantingco of the Center for Kapampangan Studies, "The most elaborate salubong are held in front of the churches of Sto. Tomas and Minalin. Shortly before the break of dawn, the brass band plays and an all-girls' choir sing Alleluia as the two santos are positioned face to face. The angel does not immediately appear; instead, she is hidden inside a pusu-pusu (heart-shaped giant banana flower) which opens in five stages, one layer of petals at a time. Each opening is accompanied by the band playing and choir singing which prolongs the whole ceremony. After the salubung (also called pusu-pusuan in these parts), the people go inside the church for the Easter Mass. "In Sto. Tomas, another quaint tradition follows after the Mass: a group of well-dressed girls and the partners dance and sing, and throw petals on the path of the carroza bearing the statue of the Risen Christ accompanied by a violin. This ritual is called Sagalas." Later at noon, the Pakbung Hudas festivities are held at the church patio. I missed the Salubong or Pusu-pusuan, as well as the Sagalas. 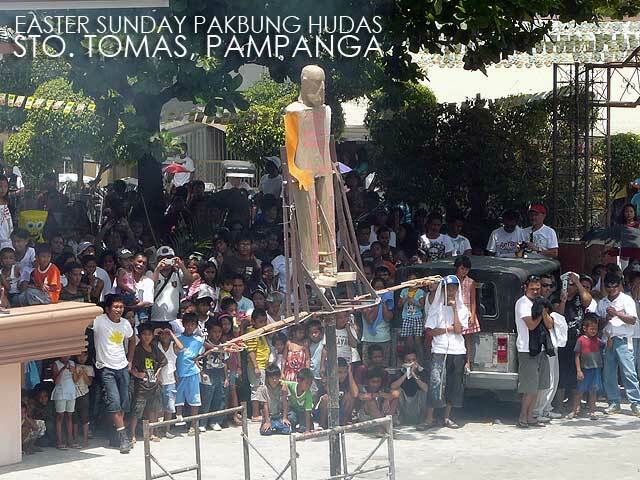 But I just had to write about it to complete this series on Pampanga Holy Week practices. Thank you to the Center for Kapampangan Studies for the video screencaps.